Why do we need next-gen broadband? The next-generation of broadband connections needs to centre on what people want to do with the Internet - but we don't need to be hasty to adopt it. That's according to key speakers at a debate on the future of broadband attended by Tech.co.uk. Antony Walker is head of the Broadband Stakeholder Group. Never heard of it? It's a forum composed of members from Government and the broadband industry. "In our view, there's little cause for immediate panic," Walker said. "The UK market is currently functioning well. [There's] lots of competition and dynamic players like Sky and Carphone [Warehouse] have entered the market"
"Broadband is an issue that people seem to make a fuss about" said Walker, suggesting that people compared the speed of their connections and were annoyed when their connection didn't come up to scratch. 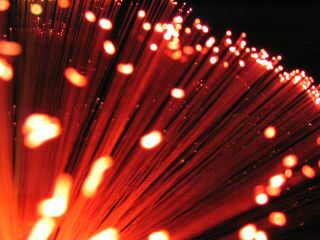 Walker said that his group was focused on "delivering more robust, more symmetrical broadband." By symmetrical, Walker means that the next-generation architecture has to be able to support upload speeds that are the same as downloads. However, Walker added he thought there were "few clear signs that bandwidth is a problem" though warned "customer satisfaction with speeds remain high, but it is declining." He cited the BBC iPlayer among other apps as reasons why the broadband industry had "generated high expectations." Head of Regulatory Policy at BT, Alan Lazarus, said the UK "shouldn't get caught up with league tables" talking about speed. Instead, we should gauge demand. "What's the demand? What services do people want that will...take them beyond the capacity of the existing network?" Are UK broadband speeds slow? He might as well have been talking about today's stats from the Office of National Statistics (ONS), saying that half of us remain on relatively slow services - 2Mbps and less. However, a great deal of this is down to long local loops and the simple fact that an 8Mbps service degrades the further you live from the local exchange. And many don't currently need a faster service than this. Mind you, the level of 2Mbps and higher coverage - the other 50 per cent - represents a marked increase from 38 per cent in December 2006. Walker suggested that cost was also something the industry should be looking at. "Different consumers generate very different costs," he said. "[There's] scope for deeper dialogue across the industry." There was widespread acknowledgement at the event that the age of unlimited service with 'fair use' policies may be over.